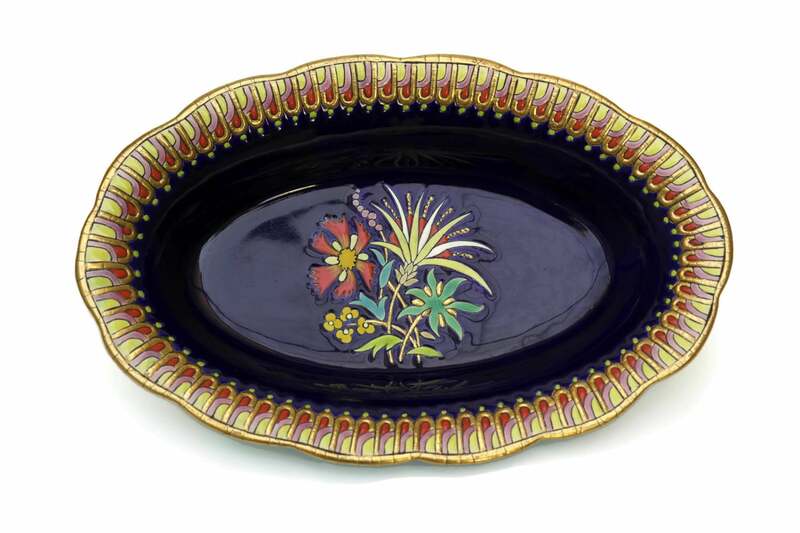 A beautiful and large French antique Longwy ceramic dish dating from the 1940s. 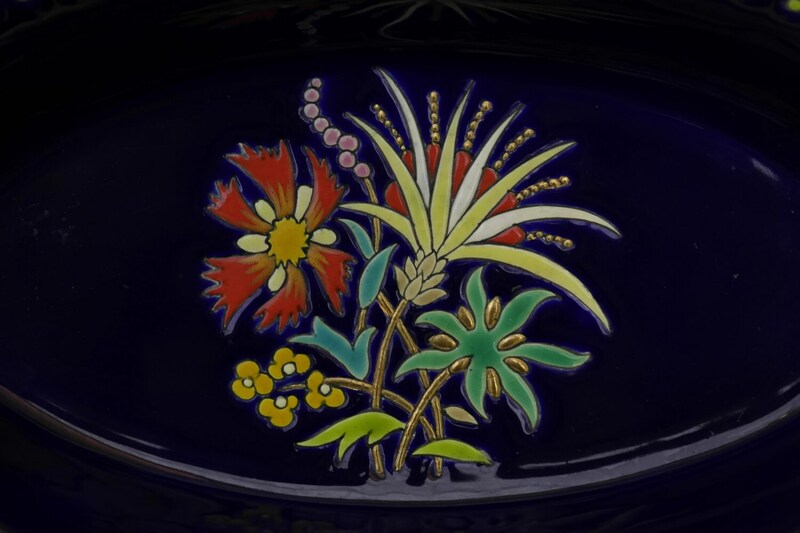 The oval bowl has been decorated in rich enamel glaze and features a central bouquet on a deep cobalt background. 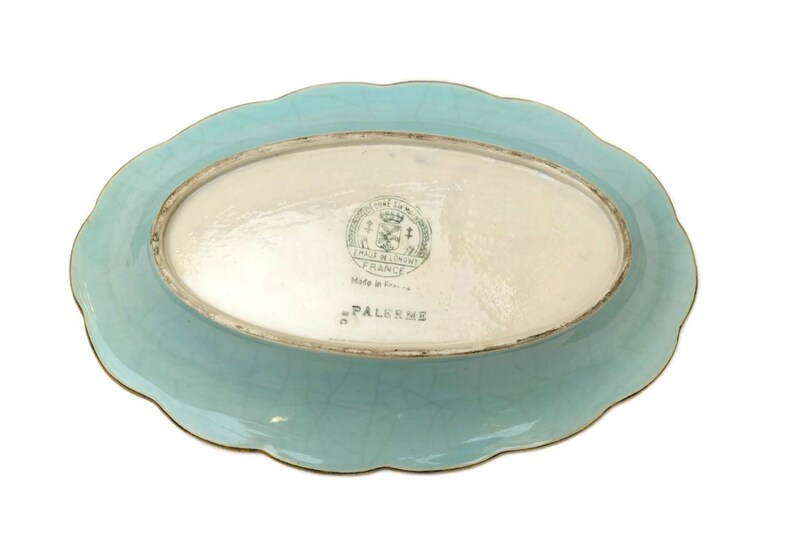 The exterior has been glazed in a shade of aquamarine and the interior rim features a richly embellished geometric border with gilt highlights. 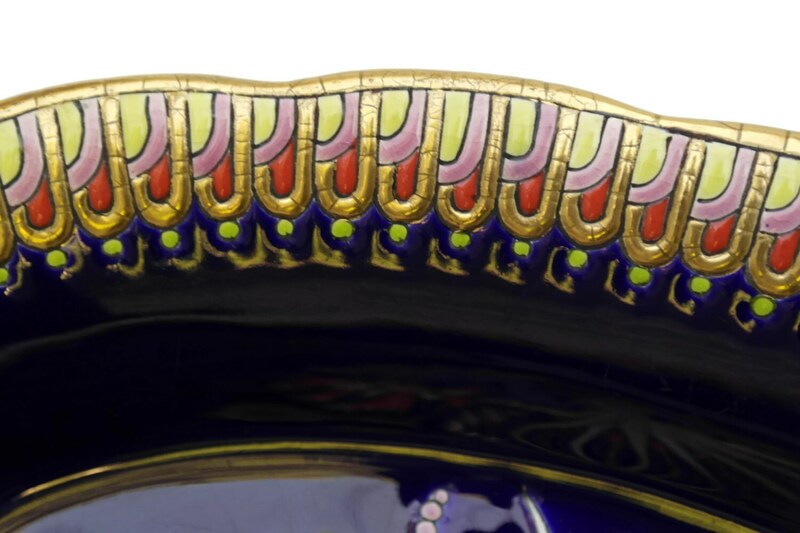 The underside has been stamped with the Longwy mark and pattern reference. (35 cm x 7 cm x 22 cm). 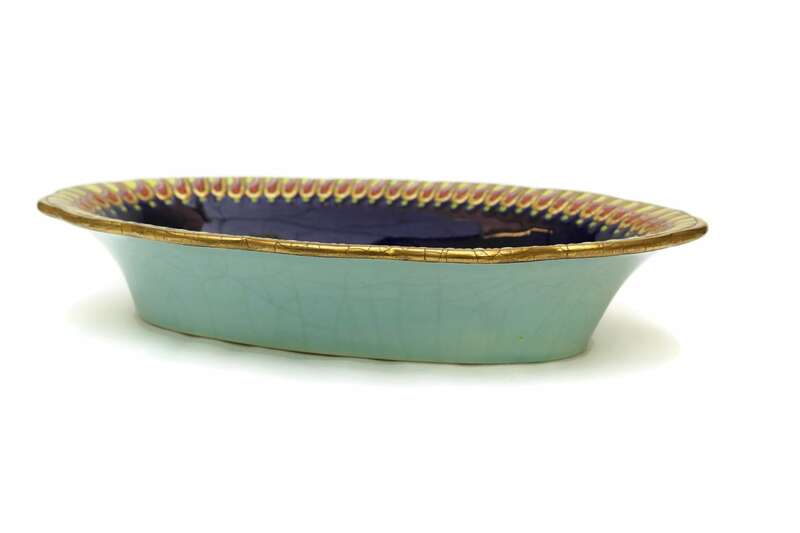 The Longwy bowl is in good vintage condition with crazing to the aquamarine glaze on the exterior. There are no chips or cracks.